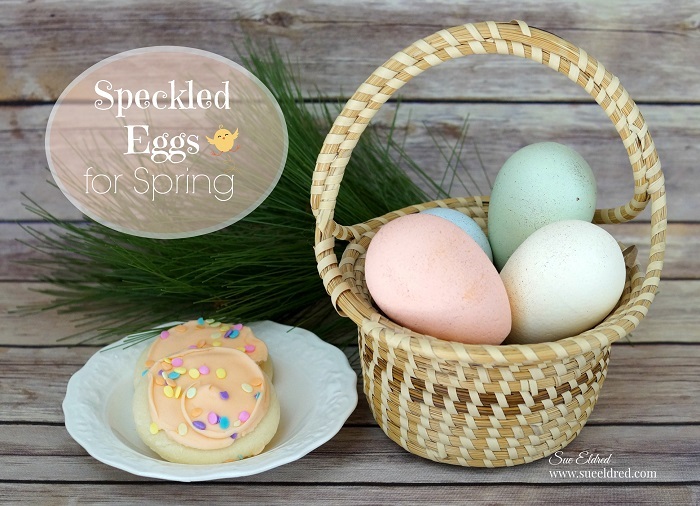 But… I still needed some soft pastel hued Speckled Eggs for Spring. So… I grabbed a few of my Smoothfoam Eggs. 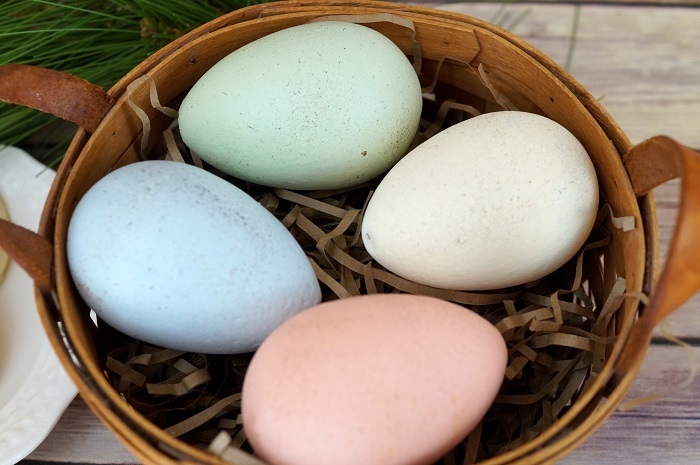 I gave the eggs a light sanding to remove the ridge and painted them with a soft chalky finish. 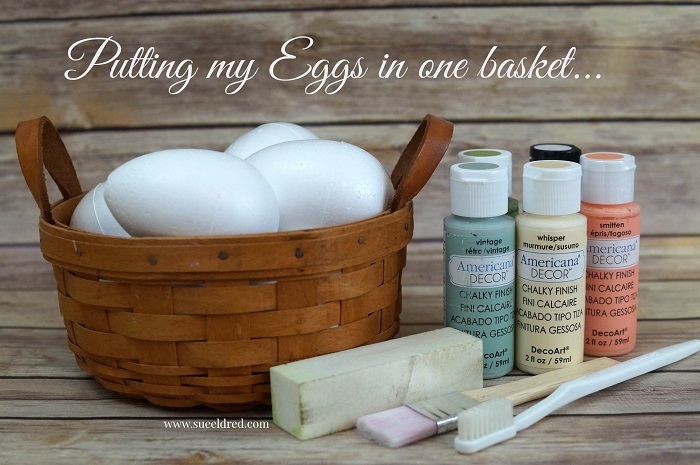 Like the name suggests, these eggs have a smooth finish making them perfect for painting. I especially like the look of speckled eggs, so I grabbed an old toothbrush for speckling. 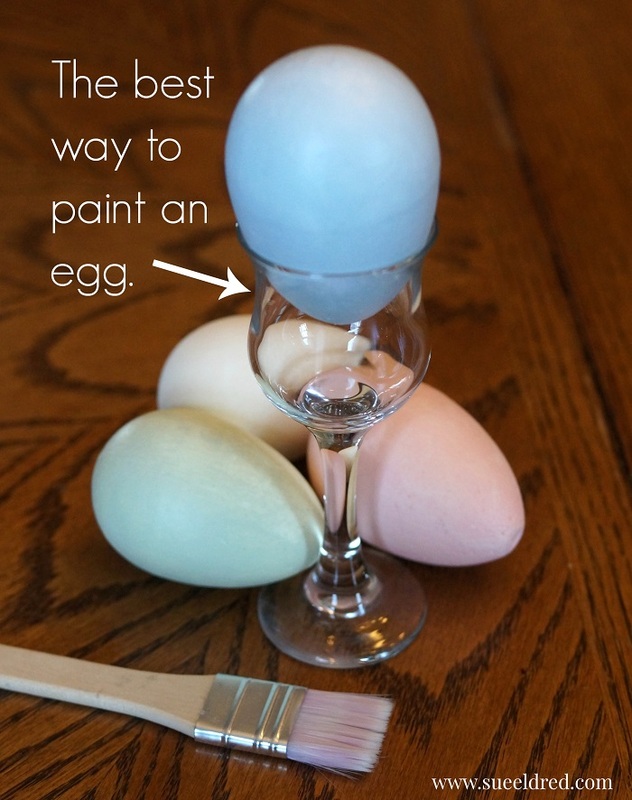 Speckled the eggs by lightly rubbing the old toothbrush into brown paint and gently flicking the paint onto the eggs. Make sure to wear an apron to protect your clothing. Flicking can be quite messy. This project was created for and sponsored by Smoothfoam™, The Crafters Foam. Thanks so much for the egg painting tips! I love the idea of speckling them. Your welcome. Have a wonderful Easter.